Here is the update for December, getting this out a little earlier than planned, I'd only be waiting for any changes on SmackDown which would probably only be the name of their new female stable, if anything major happens I'll release an update. No big news this month more a lot of little changes, I've added a new worker name list that's pretty much the old one but more refined, I've added Global Force Wrestling back as a closed promotion as well as added a few more closed promotions, updated tag experience for all teams (excluding stables), added a few new wrestlers (LIST HERE) and just done the general updates and changes posted in the threads. For the next update the plan is to work on updating rosters, tweeking pop and adding some new wrestlers. As well as getting out a new worker picture folder that won't have a stupid mistake like August's one. Also just a heads up, the next update will be out at some point during the first week of January. There is a small mistake with the worker picture pack where you need to rename Awesome_Kong to Amazing_Kong, I am not reuploading 72MB for one incorrect file name. Graphics DLC contains loading screens and pictures of non wrestlers cut on the same background used for workers. I would make Aaron Aguilera retired or semi-active. He's had 3 matches in 2017, but doesn't look to be consistently involved. I would do the same for Angel (California), as he has only had 1 match this year. John Walters hasn't wrestled since 2016, so he can be made inactive. Navajo Warrior has been inactive since 2015. - James Storm's Impact contract expires in January 2018 - set to expire 1 Month. - Matt Sydal has signed a contract with Impact. Set his contract to written with an expiry date of 1 year. - Eddie Edwards' current deal expires in February 2018, so he'll be the next talent the company is trying to sign to a new deal. - set expire 3 months. - EC3's Impact contract expires in March 2018 - set to expire 3 months. - Chelsea Green (Laurel Van Ness) has asked for her release from Impact Wrestling. No confirmation that it has been accepted but may need to remove her from the roster if so. Her contract is set to expire in June 2018 - set expiry as 6 Months for now. - One that got missed in last update - add Kris Levin to Impact under a PPA deal, Face, Staff Member, Push as Referee. - He reffed during BFG 2017 and the following tapings, he's the ref that people were joking looked like he was aged about 12. FYI if you are activating Aro Lucha at any point in future add Jason Brown to the database (copy Ed Nordholm?) as the COO - https://www.linkedin.com/in/jason-brown-40684060, he's head of Aro Lucha and Aroluxe Media. Add Turkish Power Wrestling to the database. It is set to return on March 31 2018 after 5 year absence (was opened in 2010 until 2012). Owner is Bilgehan Demir (Boxing Announcer in Turkey) and Booker is Murat Bosporus(who is booked to face MVP) . They've booked Big Boy (local wrestler-ish guy, so gotta have to create him), MVP, Doug Williams, Tom La Ruffa, Ivan Markov, Demolition Davies, Joe Legend and John Morrison for the show so far. The company was pretty popular in Turkey before it was closed (maybe E+, D- in popularity) and it seems like they have a good enough budget (100,000$ or 250.000$) to rent Volkswagen Arena Istanbul. Honestly... I think your username applies to the post here. Realistically, how often would the promotion get used? How many people would play as it? Is it a game changer? Is it going to have any impact on the wrestling world at all? With the massive amount of promotions already in the game I don't think it's a good idea to add another small promotion that one make much difference to the majority of people. If it's one you want to use surely you could create it and just import it into future updates? I don't mind adding promotions to the data, but they will be closed, it doesnt add or take away from the main game experience, how I see it is to give players options if they want to customise their own games. The thing is though...they already have that option. If that guy making that suggestion wants to add them to his own game, he can. He knows the info and can add it all himself dead easy. I will go out on a limb and say that he is among the 1%, if that, of players who would want to play as that company. This is exactly why the modding community for EWR/TEW gets levelled with the criticism of these updates being unnecessarily bloated and too full of stuff that it doesn't need to be. They're your updates so it's up to you, and you clearly put a lot of effort in to these database updates for folk to play so I'm not trying to criticise, this is just my opinion, but I just do not see the upside to this way of mod-making. If people want to have options, they can very, very easily create a small promotion like that that isn't in the game already. Is Turkey well enough represented in the geographical regions the game recognises? Would it be the only promotion in that particular region? If so, for either of those questions, I think it would be more of a negative than a positive to add that promotion to the game. The impact wrestling tv show and pay per view logos need a do over as they are horribly out of date. Change Xplosion's name to IMPACT! 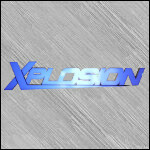 Xplosion as that is how it seems to now be listed by the promotion since the name change. The Slammiversary and Bound For Glory PPV logos are pretty out of date the even have the TNA logo. The modern logos are below but i'm not the best at cutting PSD's and the few times I've posted it before no-one has volunteered but ill post again in case someone with photoshop can do the needful. Thanks. PWInsider.com is reporting that “Big” John Gaburick will officially be leaving Impact Wrestling after the first of the year. Their report goes on to say that Gaburick had been kept on as a consultant after Anthem took over but was mainly there as insurance in case things did not work out with Jeff Jarrett. Gaburick had been working on the production side of things to help with the transition but it was Scott D’More and Sonjay Dutt that were handling the creative direction. PWInsider.com is reporting that Dutch Mantel (aka Zeb Colter) will also be leaving Impact Wrestling after the first of the year. One source that PWInsider spoke with claimed that Mantel had already been let go but that is unconfirmed. They note that as soon as Jeff Jarrett left the company Mantel lost a lot of his backstage power. He was not brought in for the November tapings. Should WCPW Loaded be changed to Dormant? Since they've re-branded as Defiant Wrestling, not sure if they have a replacement weekly show in the works that it could be renamed to instead. Might be the best option until they do another TV type show, the WCPW rebrand in the data only changed their promotion name, I've got all their new titles so will change them up for January. They don't have a weekly show, but they had an iPPV last week, and shows tonight and tomorrow. - Set Jim Ross' WWE deal as PPA. Hes apparently re-upping with AXS TV for NJPW commentary, his WWE deal allows him to work outside televised ventures apparently. - Remove Bruce Prichard from Impact Wrestling. Looks like there were plans for him to return but that has now ben scuppered with the management change. - Change Aiden English's gimmick to something like lackey (he's Rusev's sidekick) or arrogant, he hasn't been a Comedy Throwback since Gotch was fired. - Change Chad Gable's disposition to heel. - Change Charlotte Flair's disposition to face. Set her gimmick to Cocky. - Change Kane's disposition to Heel. Move him to the RAW Brand. - Split The Hype Bros.
- Change Andrade Almas' disposition to heel. Set Rosita as his manager. Change his gimmick to Old School Heel. - Change Hideo Itami's disposition to heel. - Change Rosita's name to "Zelina Vega" - set her to heel, and make her contract allow for manager push. Old School Heel should work as gimmick. Quite a few people need their momentum looked at as well, if you want me to go more in depth, I'll have a look and give you person by person details. Please don't take this as me shitting on the updates, but how is getting this part right not the #1 priority before release? Because 98% of people starting games are going to be WWE. Big Update list: Kane is not a face. Full on heel. Thanks, I actually typed face by accident. He is a face in the update right now. Also, Montez Ford isn't a heel so don't change that. The Street Profits are baby faces. Dawkins needs to be switched to face then. - Lana's contract should allow her to be pushed as a manager as well. - Rename The Shining Stars to The Colons. Also, what are your feelings on the roster usage settings by the way? My personal taste is that they are too restrictive and should only be used sparingly. For instance if Nigel McGuinness is set to a roster usage of Color Commentator - you can't use him as an authority figure, or personality down the road which I can see WWE doing. Likewise, with Lana and Zelena Vega set to in ring only, you can't make them managers. Without setting everyone to specific roles it gives you a lot more freedom. I don't/can't watch WWE programming to the full level to pick up some of the changes, I tend to follow results and what I can get on their recaps but they are still recaps, it use to be the same with TNA until they seriously started annoying me but thankfully @JohnnyNitro is about to keep me updated even if I do mess up their title changes due to advanced tapings. That's why I follow this thread, the EWR thread and Fleisch's thread to find any major changes for WWE and any other stuff that gets posted. Unfortunatly I only tend to get called out on these changes after the event hence the long lists although skimming through I do notice some of those things have already been changed. I was strict with them due to the stupidity of the AI, in an ideal world I'd only use "in ring only" or "outside ring only", although I do admit it might be best to set it up on an individual basis but I'd like to limit the ammount set for just "any role" to only those who need it. New ROH World Heavyweight Championship that will be introduced Friday night at Final Battle. Here is the update for April, going to release a pre-WrestleMania version now and a post-WrestleMania after next weekend with the changes from WWE and NXT, everything else will be January 1st. This month has mostly been the typical updating, I have added a few new workers (full list HERE), mostly as I was working on the BritWres mod for a bit, but it was mostly adding people missing for titles and such. Anything I've missed out if it's pointed out before the post-WrestleMania update will be included in that. OK so I am only posting the More Than Mania version of the April update and I'll instead remove the promotions for a Superstar Shake-Up update. Rosters reflect Mania events and I'll revert them in the Superstar Shake-Up update. In April's update I am looking to add WOW! 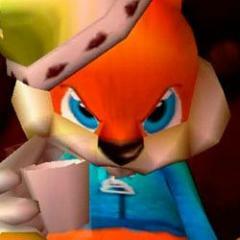 and also do a More than Mania Update. I'm looking to bring in Stardom, DDT, wXw and WrestleCon for the one month. Here is the update for March, no major changes this month, I have added a closed All Elite Wrestling due to repeated requests, they won't be active until they run shows though. Other than that it's mostly been the typical updates and changes for the month, there have been some new workers added (full list HERE), but nothing much beyond that. There is probably stuff I've missed so just post it in the thread and I'll fix it for next month.